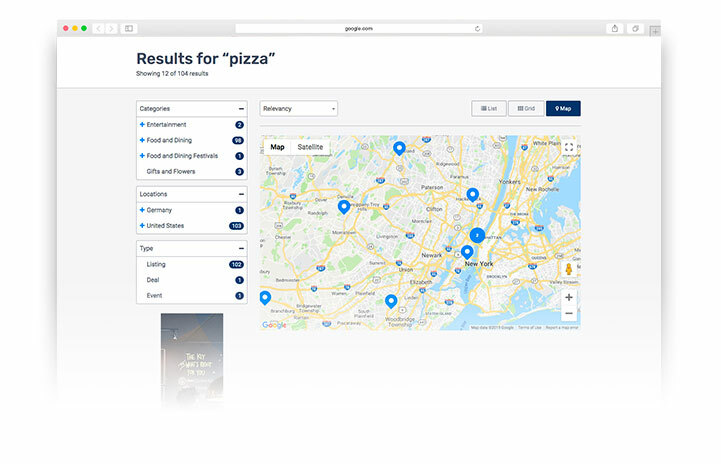 Constantly connected and on the go, make sure your users can not only find the information they require, but also how to get there with our mapping features. Maps are an important part of eDirectory. We make it easy to see what's nearby before determining the most appropriate directions. eDirectory is integrated with Google Maps, automatically placing pins based on the listing address. When searching and filtering listings, the map view shows what's nearby, making it easy to zoom in and find what you are looking for. Occasionally, the pin generated from Google's address database is a few pixels off. With Maps tuning, the listing owner can adjust the pin to exactly where it should be.